Yes! The Magic Fingers and self styled "Beat Boy" hits up the airwaves yet again with this cool track "pepper dem". This song features indigenous rapper Bablow who did the first verse, while Ogshee2 the " La la Le Friday" crooner, jumps on the second verse to add more pep to the on going flow. Then fellow crooner Johara helps increase the vocal pitch of this hot jam as he add lips sonorously in the background. 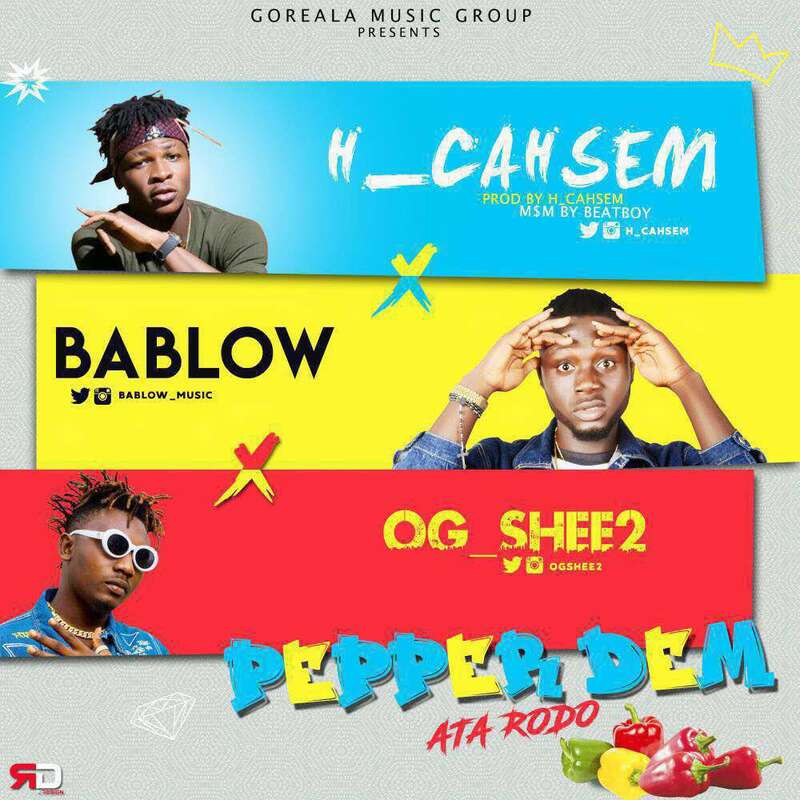 The track was mixed and mastered by Cahsem himself and promises to get you reeled up and dancing as you sing along and "Pepper Dem" haters!